Cameron studied law at the University of Newcastle and was admitted as a solicitor in February 2014. Since his admission, Cameron has practised as a solicitor specialising in employment law as well as litigated matters, such as commercial disputes and building and construction disputes. 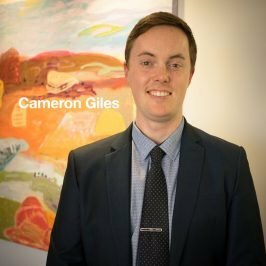 Cameron is focused on obtaining the best possible outcome for you and giving you the advice you need, when you need it. Cameron is an avid sports fan and enjoys playing the guitar. With his best mate, Cameron occasionally plays sets in public. “My goal is to assist you to resolve any matter in the quickest, cheapest and most effective way."